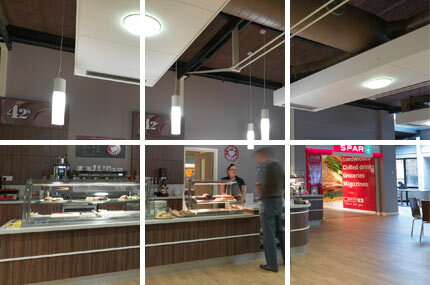 We offer much more than just the final fit-out. Our expertise encompasses everything from interior design and kitchen and retail planning, to implementation and dedicated project management. Every project is different, which is why we tailor our service to meet your needs – whether it’s replacing equipment, simple modifications, or complete design and installation. We have the skills and experience to design and produce new concepts, develop brands, and create welcoming environments for our clients and their customers. And what’s more, we’re up-to-speed with all the latest trends in our sectors, which include retail, leisure, education, MOD, business and industry.